Extending over some 75 acres, nestled in beautiful natural surroundings and bordered by the Grosse Picho hill to the south, lies one of Upper Lusatia’s largest landscape parks. Gaussig House, the orangery, the church and vicarage, and the estate form the centre of Gaussig village. 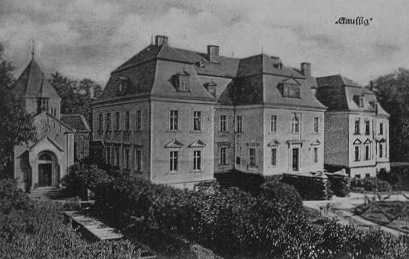 A manor house at Gaussig was first mentioned in 1245. 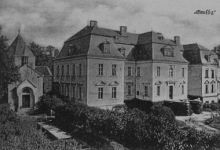 Major General and Colonel Rudolph von Neitschütz received Gaussig as a fief in 1696, and around 1700 he and his wife, Ursula, had Gaussig House built in the Baroque style. 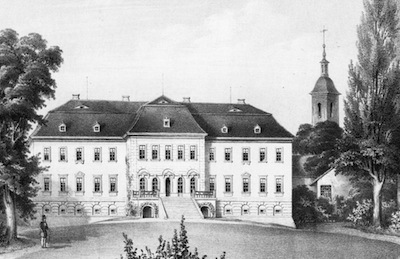 From 1747 to 1750, the new owner, Count Heinrich von Brühl, had a Baroque garden landscaped according to plans by master builder Johann Christoph Knöffel. The round pavilion and the canal are the two surviving features of this garden. After Count von Brühl, Count Hermann Carl von Keyserlingk, the Russian ambassador to the court of Saxony, took over Gaussig. In 1800 the master builder Christian Friedrich Schuricht redesigned Gaussig House in the neo-classical Palladian style, with plaster imitation ashlar masonry on the projections, and lions’ heads and tapestries in the arch bays. 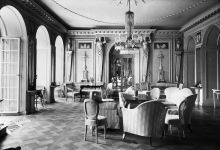 The entrance area was also redesigned during this period (entrance hall with Ionic columns), as was the garden room, with herms supporting the pediment over the side doors. In 1803 Countess Henriette von Schall-Riaucour assigned the Scottish landscape architect James Ogilvy, 7th Earl of Findlater with the transformation of the baroque garden into an English landscape park. The design of the landscape park remains preserved until today . The family burial ground was added in 1880 and the chapel in 1894. 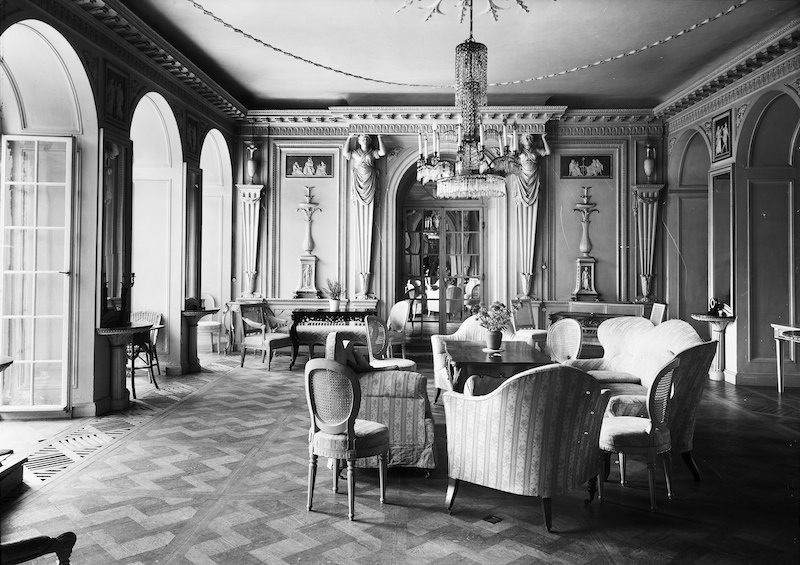 In 1907 the extension for the library on the south side of the house was completed and several rooms were redesigned. 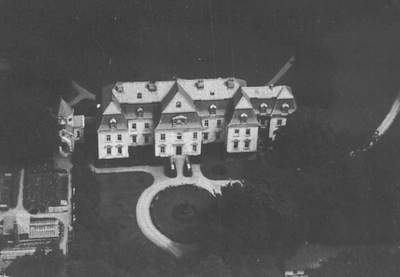 After the property was expropriated in 1945, it was used by the Red Army and later by the CDU. From 1950 to 1992 the park was managed by the Technische Universität Dresden, which used Gaussig House as a recreation venue for academic staff and for conferences. 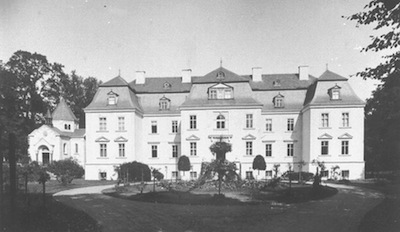 In 2005 Count Andreas von Brühl-Pohl and his family took over ownership of Gaussig House and Park. 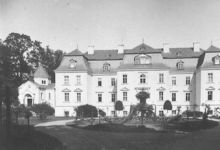 The house was carefully renovated and restored to its former glory over the course of three years, and the magnificent building now serves both as the von Brühl-Pohl family’s residence and as a luxurious hotel.